Some units feature a private bathroom with a hot tub, while others have bathrobes and slippers. Certain units have a seating area for your convenience. 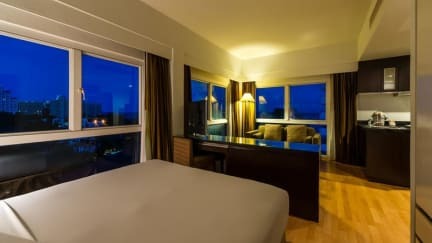 Certain rooms include views of the sea or mountain. Extras include free toiletries and a hairdryer. A flat-screen TV is featured.